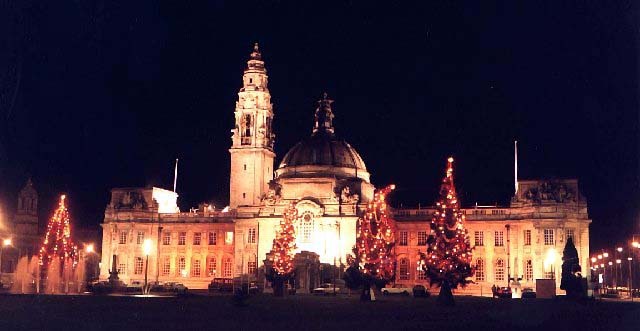 A Class Drivers are already the most affordable executive taxi service in Cardiff, South Wales and yet throughout December we are getting into the Christmas spirit and giving more savings away! This applies to all our long distance taxi journeys, and airport transfers, for travel in December, and in 2015. *All you need to do is book and pay in full in December to receive your 10% discount. So if your off on a winter holiday and need a taxi from Cardiff to Gatwick Airport for instance, travel in comfort and style in one of our executive private hire vehicles, driven by a professional courteous driver with complimentary refreshments available, arrive in good time at the airport and with your 10% discounted savings have lunch or even upgrade to the VIP lounge! For example, with A Class Drivers an executive taxi from Cardiff to Gatwick airport transfer booking price for December with the discount is now from £175 one way! With our December bookings 10% off an executive taxi from Cardiff to Heathrow Airport is now from £150, an executive taxi from Cardiff to Birmingham Airport from £120. There are no restrictions other than to book and pay in full within the month of December, no maximum limit to the amount you can save, no limit to the amount of journeys taken so if you book and pay for a return you can save even more! CARDIFF TO HEATHROW TAXI, CARDIFF TO GATWICK TAXI, CARDIFF TO BIRMINGHAM AIRPORT TAXI AND MUCH MORE. FOR MORE DETAILS ON THE CHRISTMAS SAVER TEL 07752001686 OR GO TO OUR CONTACT PAGE. *The December 10% discount offer cannot be combined with any other discounts which we offer. For example return journeys are discounted, also our regular clients, forces members, charity group members, and OAP’s automatically receive discounts on their quotes. Airport Transfers and Long DIstance Taxi Journeys. After reading this blog, I am very much benefited, Thanks a lot for sharing. First time I used it. It was perfect.